Our client is a leading provider of mobile identity solutions for wireless telecommunication service providers. Our client provides solutions to improve device management in bring-your-own device (BYOD) and corporate owned personally enabled (COPE) environments. As a technology vendor, our client supports its mobile operator partners to create innovative and valuable services which are customized and tailored as per the requirement of their end corporate customers. In the consumerization of IT, BYOD (Bring Your Own Device) is a concept which is widely adopted to refer to employees who bring their own smartphone’s or other mobile devices for both personal and corporate use. Today BYOD is widely accepted in corporate environment; however, it comes with its set of challenges like security and data integrity a crucial need for corporates. Dual-SIM usage is becoming popular; there is demand for second line numbers; a personal number in addition to a business number. However, there are usability challenges: Users must buy and carry two devices, frequently swap between SIM cards, or buy a dual SIM phone. To address these requirements our client wanted to build an application on its existing platform that will allow multiple phone numbers to be active on a single SIM card and mobile phones which will adhere to all the security policies of the organization to help IT departments better manage these devices and ensure network security. Our client wanted to enable mobile operators to bring corporate identities to privately owned devices by introducing separate virtual lines on a single SIM card and also automatically separate the bills generated for personal and corporate profiles. 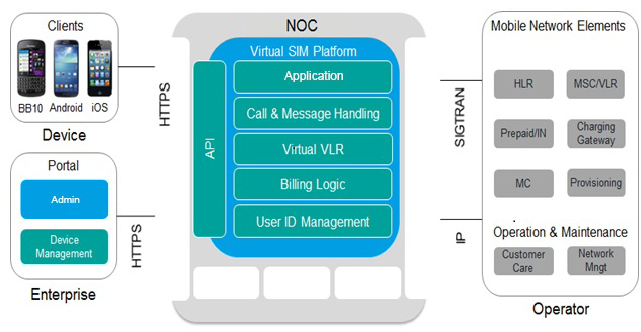 Build virtual SIM functionality to have more than one active number on single SIM without the need for a new device or swapping personal or corporate SIMs, it should also supports both feature phones and smartphone’s. Develop a user friendly interface for easy navigation within the application. Verification and authentication of call logs and user profile using user’s phone number. Develop a feature that enables the user to create new profiles as per user preferences for colour, icon and number of the profile. Call forwarding functionality for both private and business profiles. Edit and delete functionality for the profiles created in the application. Xoriant team designed a solution which would be available on all the leading mobile platforms like Android, iOS, Blackberry and Windows accommodate all the user base. Xoriant used cross platform support capabilities that enabled access to a reusable code, thereby reducing development time. Sprint cycle of 2 weeks and ‘Scrum Works’ tool was selected to track sprint progress, Scrum methodology ensured regular updates to the client allowing a quick and timely feedback. Xoriant built a scalable solution which can easily add multiple virtual phone numbers to a single SIM card on a personal device brought by the employees while incorporating the key needs of security, data integrity, and clearly distinguishing between business and personal profiles. Built scalable application with adherence to Model-View-View-Model (MVVM) pattern which allowed faster application development through simultaneous backend and UI development. Initiated communication between mobile client and the centralized server using HTTP and JSON. Integrated the application platform into the operator network using standard network interfaces like INI (inter network interface) and ICI (inter carrier interface). 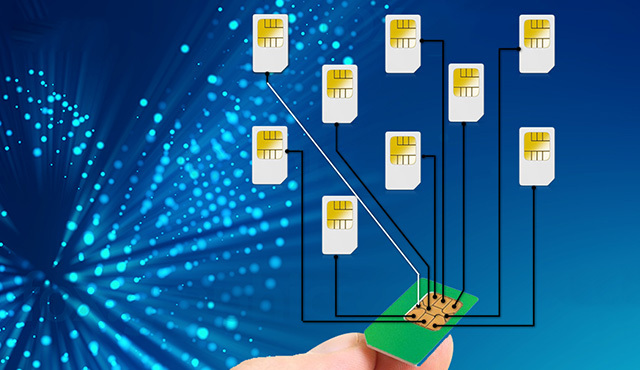 Implemented a Virtual VLR (Visitor Location Register) that dynamically assigns mobile numbers to SIM cards and enables the network operator to offer new and innovative services. Enabled tracking and reporting feature to track activity of any profile and generate details reports of call logs. Improved user profile security by introduction of verification and authentication by phone number. Incorporated reporting feature to generate reports for call logs, cellular data, and sms. Enabled UI designer and backend developers to work simultaneously by using MVVM pattern of programming which reduced overall time for application development by 30%. Better UX within the application improved the customer experience. Allowed enterprises to assign business numbers as a 2nd line to BYOD devices, leaving private numbers untouched. Allowed administrator to divert incoming calls to voicemail or attach the corporate number to a different device. Incorporated BYOD (Bring Your Own Device) concept through a mobile application that allows multiple virtual phone lines to be active on a single SIM card without need for a new device or swapping personal or corporate SIMs while adhering to all organizational security protocols.